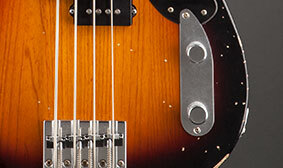 Fender and hard-hitting Green Day bassist Mike Dirnt bring you the Mike Dirnt Road Worn Precision Bass, a special version of his pulverizing signature model with years of hard-played wear and onstage glory already built in. 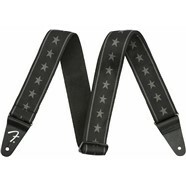 With its combination of original-era 1951 Precision styling and Dirnt's own personalized modifications, it's a ferocious performer with volcanic tone, fast feel and cool battle-hardened look and vibe. 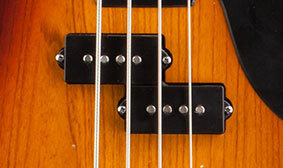 The lacquer finish on this bass lets the body wood breathe with more natural resonance. 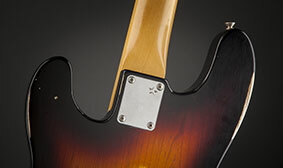 Its Road Worn finish and hardware treatment imparts a cool aged look and feel, conveying the impression that this instrument has more than just a few miles on it. The volcanic sound of Mike Dirnt’s signature Precision model comes from a custom vintage-style ’59 split single-coil pickup that looks right at home among the instrument’s other vintage-style features. 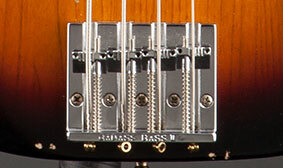 The specially designed Hi-Mass bridge on this bass has a cool contemporary look. 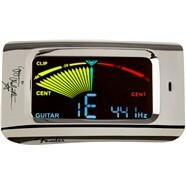 It also has a lot of metal, which means it has a lot of mass for rock-solid sustain, intonation and tuning stability. 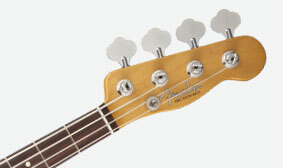 Like the very first Precision basses of 1951-1957, Mike Dirnt’s signature model features a Telecaster headstock shape. 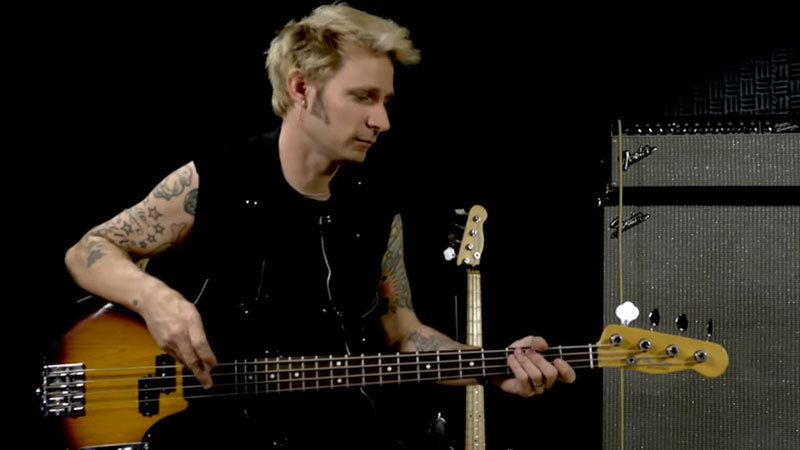 The thicker modern neck on the Mike Dirnt Road Worn Precision Bass adds slightly more mass to the instrument, enhancing the tone. 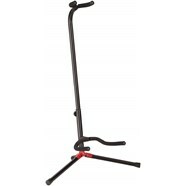 It also has a comfortable "C" profile (the shape of the neck in cross section) and a worn urethane finish on the back. 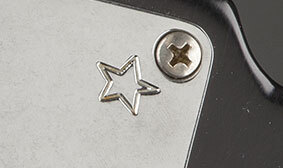 In a special touch specified by Dirnt himself, the neck plate of his signature Precision model is engraved with a small star at the upper right corner.